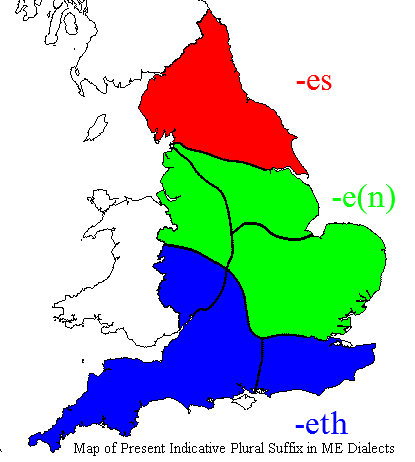 Contemporary commentators' statements, and verse rhymes, indicate that the -S and -TH endings were pronounced identically from the early 17th century on. Richard Hodges (1643) listed different spellings given for the same pronunciation: for example, clause, claweth, claws; Hodges also pointed out in 1649 that "howesoever wee write them thus, leadeth it, maketh it, noteth it, we say lead's it, make's it, note's it" (cited in Jespersen, 1942: 19--20). In the third (and final) edition of his guide (1653: 63--64), Hodges elaborated on his statement: "howsoever wee write many words as if they were two syllables, yet wee doo commonly pronounce them as if they were but one, as for example, these three words, leadeth, noteth, taketh, we doo commonly pronounce them thus, leads, notes, takes, and so all other words of this kind." ・ Hodges, Richard. A Special Help to Orthographie; Or, the True Writing of English. London: Printed for Richard Cotes, 1643. ・ Hodges, Richard. The Plainest Directions for the True-Writing of English, That Ever was Hitherto Publisht. London: Printed by Wm. Du-gard, 1649. 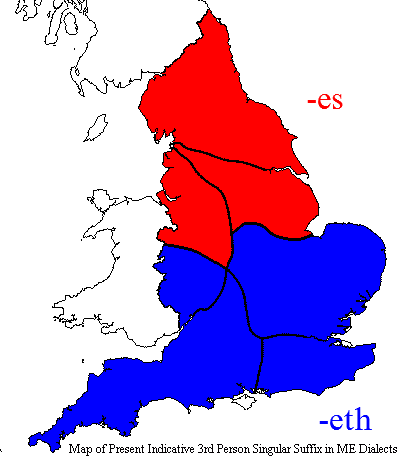 Apparently, the early American settlers brought to the New World linguistic subsystems which, as far as subject-verb concord is concerned, were characterized by two opposing dialectal tendencies, the originally northern British one using -s freely with all verbs, and a southern one favoring the zero morph. 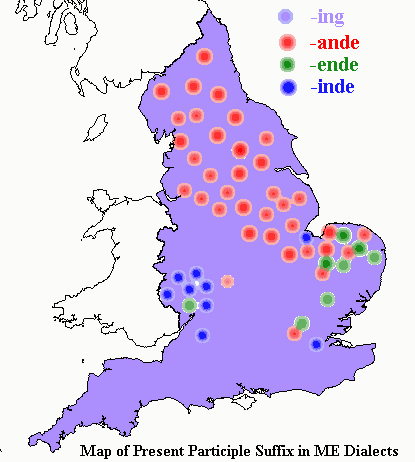 In America, the mixing of settlers from different areas resulted in the blended linguistic concord (or rather nonconcord) system, which is characterized by the variable but frequent use of the -s suffix . . ., which was transmitted by the white masters, family members, and overseers to their black slaves in direct language contact . . . .